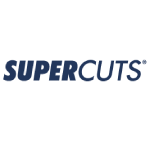 Supercuts has enough gel, wax, and other stuff to keep turning heads while you strut like a superstar. We carry only professional hair care products because you deserve the best. And our expert stylists are trained to help you find the right one. So no matter where you’re headed, you can be sure your cut is rockin’.